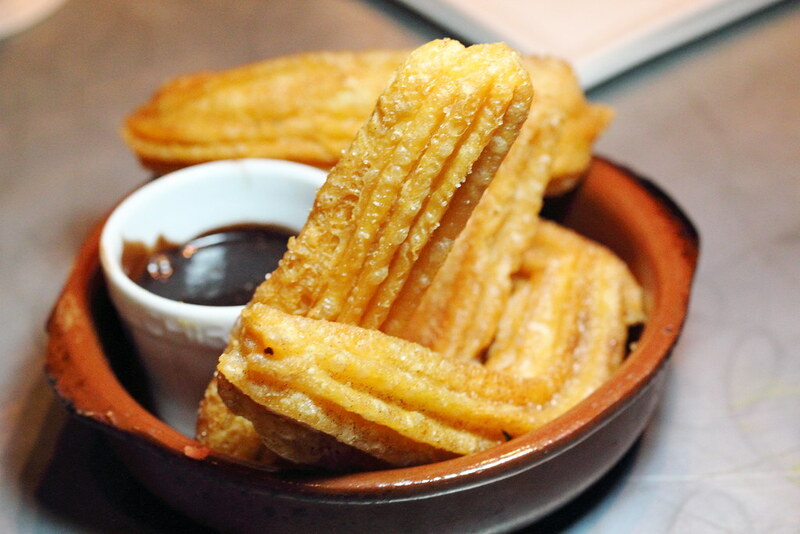 La Taperia opened at the newly refurbished Shaw Centre in October 2014 is the latest addition to the Les Amis family, offering traditional Spanish fare. 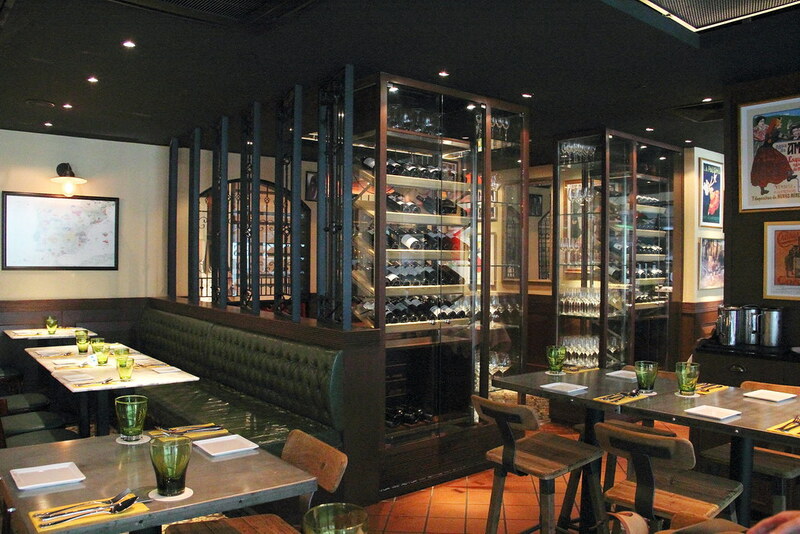 The restaurant is modelled as a Spanish home, giving it a nice comforting, relax and homely ambience. Lunch at the restaurant started with the Gambas Al Ajillo ($18) that comes with huge crunchy prawns cooked with garlic chilli and extra virgin oil. Enjoyed the simplicity of execution, allowing the main ingredient to shine. 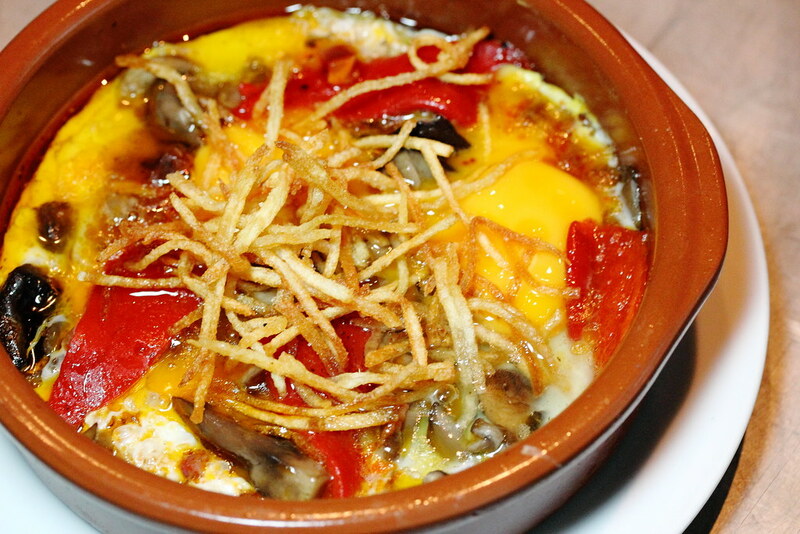 Following that, I had the Huevos Estrellados con Patatas Paja ($18) which comes with a medley of ingredients such as fried egg, iberico chorizo, piquillo red pepper, mushroom and straw potato. 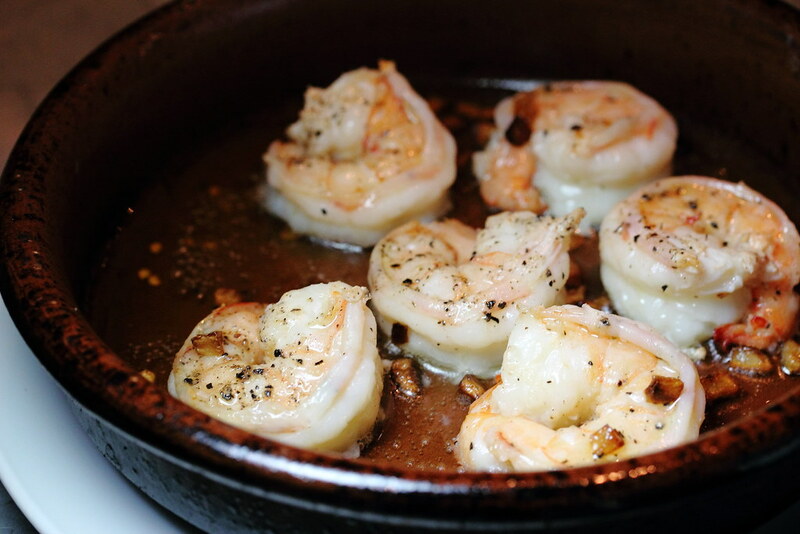 A complex, robust and flavourful dish. 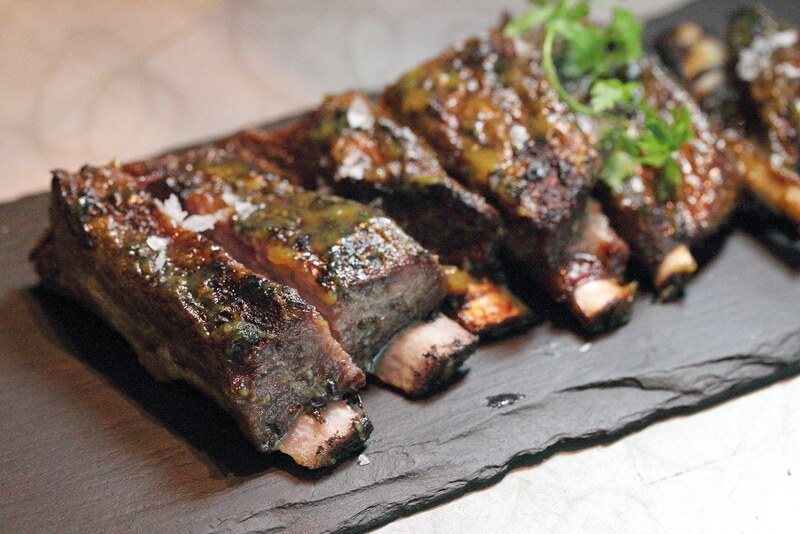 Glazed with honey mustard, the Costillitas de Cordero a la Parrilla ($25) or charcoal grilled lamb rib literally fell of the bone with each bite. Excellent pairing of the honey mustard, bringing out the flavour of the lamb. 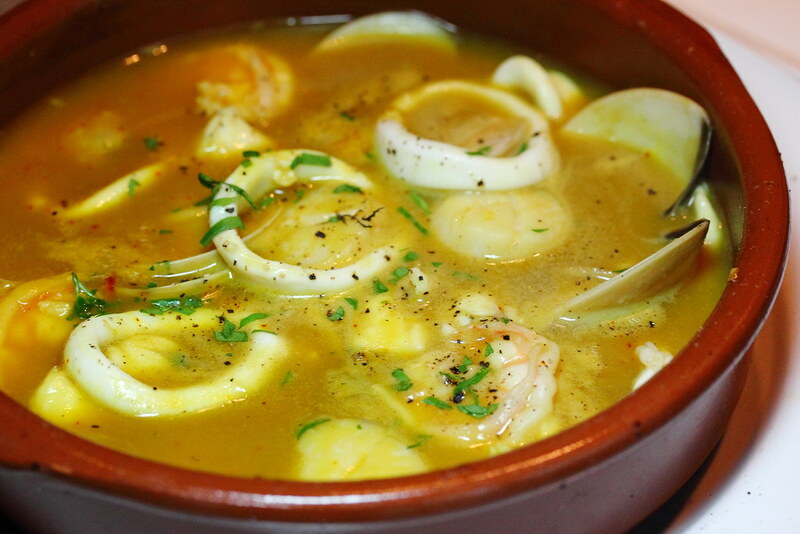 The seafood stew, Caldereta Asturiana ($34) comes with a pool of Asturian seafood such as shrimp, clam, squid, scallop and rockfish. A lot of textures and flavours were in play, swimming among the taste buds. A must try at every Spanish restaurant is the staple paella and definitely not to be missed at La Taperia is the Paella de Bogavante ($78) which simply blown me off with its intense flavours. 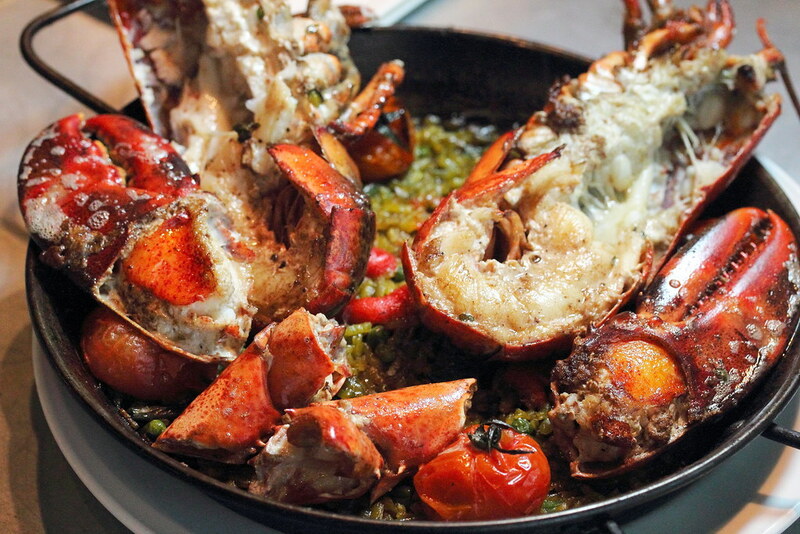 The paella is well infused with the lobster essence and together with the addition of saffron, runner bean and tomato, giving it the rich and robust flavours. For dessert, I got to tried the Churros Con Chocolate ($14) and Marquesa De Chocolate ($14). The churros with chocolate sauce was not bad but I have better ones elsewhere. 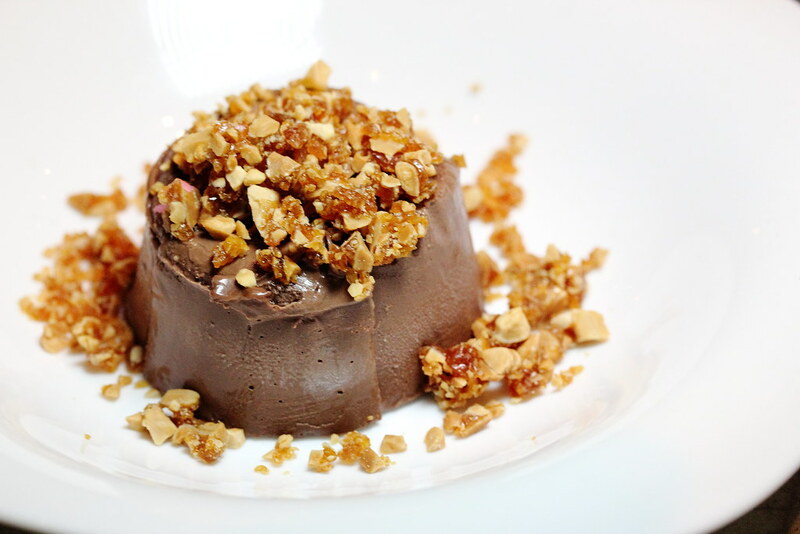 I would recommend the chocolate marquise topped with baked almond praline instead. The richness and creaminess of the chocolate was just pure enjoyment for chocolate lover.